The Leaderboard and Top Sidebar ads are the only two ads that we sell as “above the fold”. 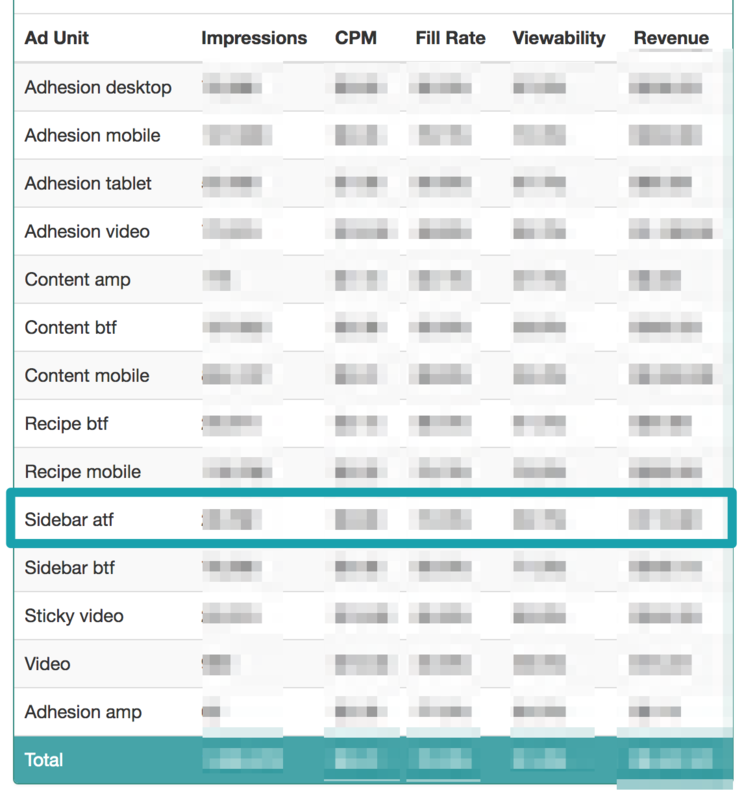 That doesn't necessarily mean that this unit will BE "above the fold" but in the ad unit breakdown in your dashboard, you will see this unit referred to as Sidebar ATF. With the release of the Optimize for Desktop Pagespeed feature, and the overwhelming trend with our publishers always looking to do a bit more regarding site speed and user experience, you can adjust your sidebar to push that Sidebar ATF ad down below the fold even further. To do this, you would want to place a sidebar widget (or two short widgets) at the top of the sidebar that will effectively push the first ad "below the fold" and out of the first screenview.